Sports is a free Windows 8 Baseball portal app that keeps you updated with all the latest news about Baseball sports game. 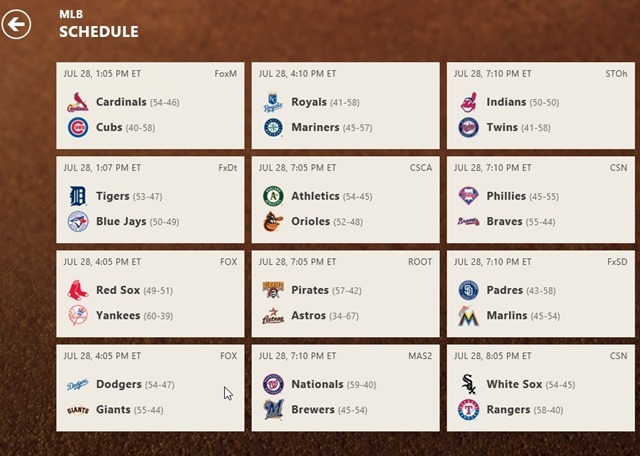 Yupp…all the baseball updated news, the latest tournaments being held, the league charts, the league topper everything is displayed through this app for Windows 8. 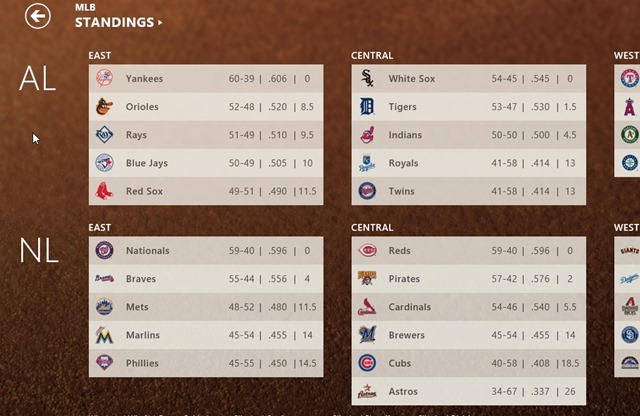 This Windows 8 app is a dream come true for all the baseball fans like me. Sports shows information about both the major league, the American League as well as the National league. The app keeps on updating regularly, hence, definitely you are not going to miss out any news. Along with the text news, the app also displays the images related to each displayed news. The schedule of the current league that is being held can be viewed. The status of the league is regularly updated. In addition, each of the team’s ranking in the current league, the table topper, and the players with the highest rankings are also posted on this Windows 8 Sports app. All the rankings are characterized according to the leagues that they belong to. The following image shows the table chart of both the American league as well as the National league. The table also describes their scores and the margin by which they won. 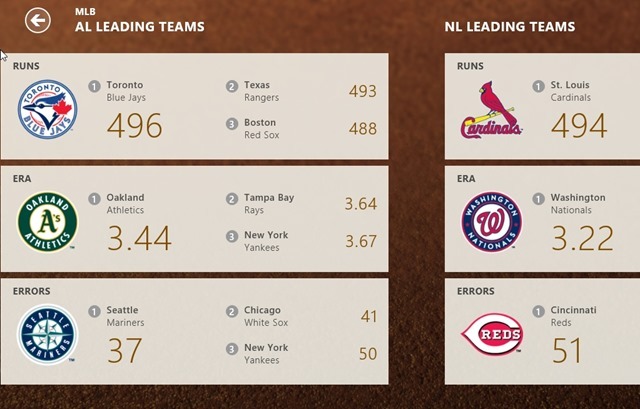 This still shows both the national as well as the American league table top charts. Both the leagues show their top teams as well as their scores throughout the league. 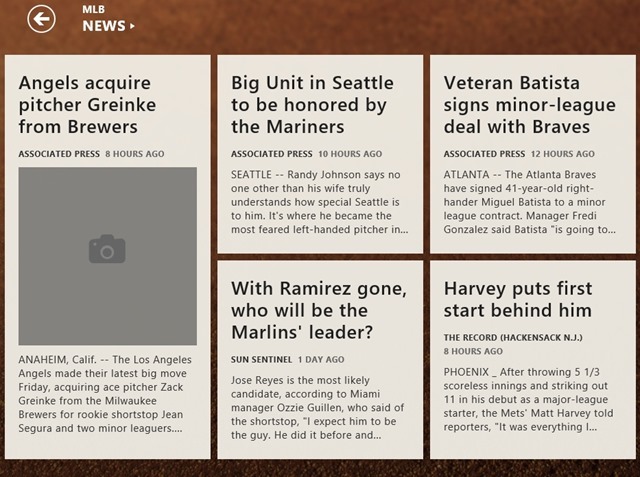 Now, since I am a big baseball fan, hence, I personally liked the Windows 8 baseball app. The way they have displayed their information and league scores and other related stuff, I liked Sports app a lot. Go ahead and try Sports app available under the “Sports” category of Windows 8 store. Else you can search for the app directly and download it. Learn how to search an app in Windows 8 Store.